My name is Gregory Ioffe. I’m a professor of geography at Radford University. I first developed my problem in the November when I was a in Sabbatical leave in Eastern Europe and the Republic of Belarus. I had really difficulty walking. my problem was in my legs, particularly in my left leg to the left of my knee. I was asked for MRI and they determined that I have a herniated disk between l4 and l5. I was hospitalized and was treated with something like Novocaine injections. actually my condition improved, but it was only improved for me to come back. you know to fly over the Atlantic and to come back here, it again became worse . so I first I went to a chiropractor. After four or five visits, I realized that it didn’t work. then I went to a DO doctor of Osteopathic here in Blacksburg. he administered a shot into my spine, and actually I had a series of three shots. like you know, two three weeks in between and three was maximum that you are allowed to have those steroid drugs each time. I had an improvement for a couple of days and then my conditions condition reemerged again most of the pain was in the left leg, although occasionally in the right leg too. I went to physical therapy, kind of a regular physical therapy, then I went to a kind of a rehab facility also physical therapy but where you have a face-to-face and one-on-one contact with an instructor within one hour . and nothing seemed to help. so I went back to the DO and he sent me to a surgeon, that was a March first . I thought that well you know I’m not completely completely you know incapacitated, I can work although I have problems. I should probably have surgery after the end of the semester , to the end of the spring semester. so my surgery was scheduled for May the 15th. on May 1st I was supposed to come to this DO compound in Roanoke to have certain tests. I was very reluctant to undergo surgery, so I decided to do whatever it takes to avoid it. of course, this is realistic. So on the advice of one of my colleagues in Washington DC who took trouble to recommend acupuncture and preferably acupuncture performed by an Chinese specialist who is trained in classical Chinese medicine. I just went online and found Dr. Joy yang in Blacksburg I didn’t have any , after so many things not working, I actually didn’t have much hope, but I still decided to pay her a visit, as it would be a kind of a last resort. maybe just maybe I could avoid surgery, that as I’ve already said, I was very much afraid of it. you know due to unknown consequences and all sorts of information that received from all sorts of people who advised me to avoid surgery if at all possible. so I came to Dr. yang sometime in April. I think, in early April probably. My very first contact with her impressed me. I still didn’t think that it was a breakthrough but I got intrigued, I got very interested in her methods. they were definitely not traditional for Western medicine because you know having heard about my complaints and about my pain symptoms kind of concentrated in my left leg. She actually found on my right shoulder and pressed certain points and and I thought that already at that first occasion . First of all , my right shoulder somehow communicated with my left leg which was very unusual and so I was very impressed by that, and so I decided to pay more visits to her I think to the total of 12 visits. you see now is early June I feel like I am almost completely free of my problem. I regained the ability to walk without any problem, I walk the dogs I mow the lawn. I do everything I did before except, perhaps you know, CrossFit except fitness. but I’ve already resumed swimming. Actually, I entirely attributed to to Dr. yang, it was stunning entirely, unexpected, don’t understand how it works, but it does and that is the most important thing. she did for me what nobody else did!!! and it seems like it’s really working, and it’s not just keeping you with a with a certain condition in order to take care of you, it is just working, you know, it’s it’s for the purpose, and the purpose is the recovering. so I would enthusiastically recommend anybody was this kind of a problem which I think is very much widespread and perhaps other problems too paid a visit to Dr. Yang. Well, we’re teaching the enlisted medics, because they go outside the wire, teaching them, lotta great questions. Right before the break, somebody said, “Hey doc, sometimes somebody gets shot. “If they’re starting to bleed out. “Well, I’ve lost that guy, but now somebody has to go “put a tourniquet on him. After about a minute or two, “they hurt so badly, “somebody had to give that guy narcotics, “and then you gotta watch him, make sure he’s breathing. “And then they put two on, “the senior enlisted guy there, of course. “After about a minute, he’s like, “I can barely move my hands. This is killing me. So I grabbed two, and I said, “Okay, you’ve learned this. “Come up here, and do it, right in front of us.” So we put the tourniquets on, true story. We then had, “You put this one in. You put the next needle in. “How do you feel?” “That’s different. Wow.” He’s starting to move his hands. Said, “Okay, next needle, next needle.” About 10 seconds apart. Oh, then he starts laughing, and says, “Gimme a gun. I think I could fire a gun.” So unfortunately, that particular group we taught, was supposed to be 25, but it was only 23, ’cause two of them had been killed the previous week in a firefight, so it was really, truly somebody that’s, outside the wire, and doing a mission, and they really need this kind of training, that they can take out there. What we call acupuncture, dates about three, four thousand years, to traditional Chinese medical practice. So with acupuncture, we know that we may dial in, using the ear, as one of several sort of mini systems, or micro systems. Ear, or scalp or hands. And we know that we can not only affect local, but we can affect their general sense of well being. So acupuncture allows us to more than just treat, put a band-aid on it, or give them a pill. It allows us to reach into the entire person. – Money was dedicated to take battlefield acupuncture, and propagate it throughout the Department of Defense healthcare providers, and the VA. So we taught nearly 3,000 healthcare givers, across the DOD and VA, and close to a 160 instructors, on how to do battlefield acupuncture, and how to teach battlefield acupuncture. – This is a strip of eight of them, clearly you can carry enough treatments for five, 10, 15 people, just in your pockets, or in your BDUs or ACU pockets. 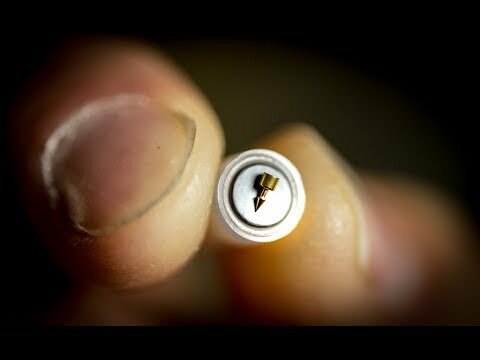 Easy to pop out, and when you do, you just pop ’em out like that, and that’s the applicator for one needle. – Tech Sargent Jesse Sosa, part of the 89th maintenance group, I’m the flying crew chief on the C-32 and the C-40. Flying the Vice President, the First Lady, and any diplomat that needs to go overseas. When we carry high profile DVs as the Vice President, he brings a lot of pelican cases, which was one of the issues that strained my back. For the first time I got better from acupuncture, it was different, I wasn’t expecting a lot out of it, ’cause I’ve tried everything. But I was open minded. When the doc started to put needles in my ears, it was definitely a tingling sensation. But after a couple of days, I felt like, I was a new man. – So these are very simple to use, so if I have somebody that has migraine headaches, or recurring headaches, if they’re active duty, and they have headaches, and they have to pull guard duty, and I’m at a bare bones base, and I’ve only got three people to share the guard duty, and suddenly Sam has got a bad headache today. And this guy just got off, and he’s supposed to work tomorrow, oh I’m strapped. If I give this guy narcotics, he can’t work, he can’t use his gun, he can’t use his weapon. But, if the doc can put ear needles in him, and he feels like, “Ah, I feel great, I can go to work. “I’m not drowsy.” Then that’s a huge force multiplier..
What is a slipped disc? So, everyone’s heard of the term “slipped disc”. It might be someone you know, it might be someone you work with, it might be you. Having had some sort of back problem – usually one that is pretty severe and they so, “Oh, you are suffering from a slipped disc!” So today we are going to talk about what that actually is, what it means and what’s really happening. So, for those of you that don’t know I’m going to pull out a spine here. This is somewhat like what your spine looks like in your body. So we’ve got bone all the way down to the pelvis and between those bones – here in the yellow bits – those are your discs. The bones are hard – like bone would be. The discs are made of connective tissue. So they’re soft, stretchy, fibrous connective tissue and the discs of the spine – theres a little bit of fluid in the middle to help control how it works. Now, when we think of a slipped disc – I’ve actually seen this, how it’s made in a diagram sometimes, they show this disc as being a separate piece that can shift from where it belongs. So imagine like this one here that’s loose – just imagine that it could move. And when we think of a slipped disc we think that disc has moved from where it belongs. In a real human body, all these bones and these discs are completely encased in connective tissue. These discs are actually made of ceonnective tissue and the fibers from this connective tissue goes into the bones so it can’t slip. If you were to take this out of the human body and try to separate this you wouldn’t be able to separate it. You are not strong enough and most, uggh, it would take a machine to try to separate those so there’s no way that that disc can actually slip. To make a more accuarate analogy I’ve made something here. What I’ve made here – this is using two coffeee cups and some tape. We’re goning to imagine that this is more likely how a disc works and how it looks. We’re going to picture that this is a bone in your spine and this is a bone in our spine. First And Foremost, Acupressure Triggers The Brain To Release Endorphins, So The Ear For A Minute As You Breathe Deeply. For better decision-making you need to think better and in that process your breath holds the key. Your breath is one of the best tool to control your mind and awaken that super higher consciousness within. Right way of breathing rank higher than right food water and exercise. Welcome all. I’m Jyoti Khatri, holistic health and wellness expert. Due to stress and irregular lifestyle habits most of the time we breathe irregular and shallow. Hardly utilizing a tenth of lung capacity. Normal breathing rate is about sixteen breaths per minute but when you are under stress your breathing rate double. In this video I’m going to show you how to breathe in right way all the time, will introduce long deep breathing technique and discuss its benefits. 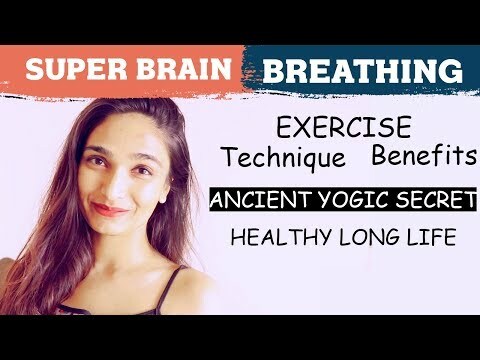 Watch the video till the end as it covers the essentials of right way of breathing that helps to improve your life and boost your brainpower magnificently. Subscribe now to the Samaya yoga youtube channel so that you don’t miss any of these amazing videos that helps to improve your life naturally. Let’s get started. one of the ancient secrets of Yogi’s for healthy and long life is to consciously reduced breath rate of about four breaths per minute. Ancient Yogi’s said that in order to master or have control over your own time of death bring your breath rate down to four breath per minute. It sounds difficult but remember it’s a gradual process, first work on consciously bringing your breath to eight times per minute and then four. Scientific study findings report that 80% of disease are stress-related. Poor breathing increases the stress and other illnesses. One of the most common physiological response of the body towards stress be it physical or psychological is to increase the breath rate. Shallow upper chest breathing with faster breath rate leads to chronic stress and tension which weaken the nerves and act as a root of many illnesses and disease. That is why along with good healthy diet and exercise one should pay more attention to their breath too. Before introducing the breathing technique let’s see the benefits of long deep breathing. Long deep breathing is a perfect way to relax and calm yourself down. It comes under the active form of relaxation which will help to retune and reset your brain to make correct decision automatically in difficult situations. When you fill the lungs to maximum capacity you are feeding your electromagnetic field, This helps to revitalize and readjust your magnetic field and protects you from negativity. It also reduces the risk of illnesses or accidents. You will feel instant energy boost due to the lifeforce (prana) in oxygen and helps to pump the spinal fluids to the brain thereby giving you great clarity positivity, increases alertness and awareness. It helps in breaking subconscious undesirable habit patterns and addictions. Reducing the sense of insecurity and fear. Your brain becomes super strong and you can condition it to learn or develop new things faster. As the lung capacity increases so does the secretion of the pituitary gland which is known as a master gland and your mind will begin to develop the intuition of power. This breathing technique helps to cleans the blood. Regulate the body’s pH level and you will be able to handle a stressful situation at ease. It helps reduce and prevent toxic will they are caused by not clearing the mucus lining of the small air sacs of the lungs. By the practice of this breathing, it helps stimulate the production of chemical endorphins in the brain which eliminate the tendency to depression. 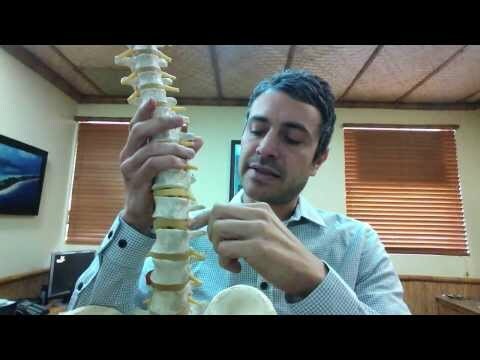 By using this breathing technique it activates and cleanses nerve channels. Helps in releasing blockages in Meridian energy flow, speed up the healing process and promote physical and emotional health. It not only will restore the aura but also gives the ability to control your negative thoughts and emotions. Now let’s move on to the technique of long deep breathing how to do long deep breathing efficiently long deep breathing is simple complete and proper efficient breathing technique, using the lungs properly the way it is made to be used. It is also known as diaphragmatic breathing or abdominal breathing. The diaphragm is a circular barrier of muscular tissue that separates the lung cavity from the abdominal cavity. The breathing technique is simple. Let’s begin by exhaling first. As you exhale your abdomen contracts or shrinks. This pushes up on diaphragm creating a pressure in the lung cavity which causes the air to be expelled. When you inhale your abdomen expands the muscles of the abdomen draw the diaphragm down This downward movement of the diaphragm creates a vacuum in the lung cavity so air automatically flows into the lungs. To understand it better you visualize a balloon when you feel the air in, it expands. In the same way when you inhale your abdomen that is your navel area should expand. Likewise when you draw the air out of the balloon it shrinks similarly as exhale abdomen should contract or shrinks. Let’s try it again. Place your right hand on your abdomen now exhale and contract your abdomen to the fullest as you do it you can observe the moment of your hands it goes in. Now as you inhale your abdomen expands you will see your hands moves up. It is always best to empty out your lungs first before you inhale so that more oxygen can come inside the body. Practice it as often as possible for as long as you can. I hope you liked this video. Hit the like button down below. Be sure to share it with your friends or anyone who might benefit from this video. Also subscribe to Samaya yoga YouTube channel to get more amazing videos like this. Comment down below what you want to see next. I’ll see you in the next video.